It's that time of year again, the sun is out (well most days), the Tour de France is on telly and Stockton Cycling Festival is about to hit town. Don't Forget... there is still time to register to take part in this weekend's RideStockton event, Sunday 16th July 12-2.30pm at the Stockton Cycling Festival. This fun family cycle ride is open to everyone and is free. The ride is on a traffic free route around the High Street and the Riverside and is a great way of getting the whole family involved in cycling. All ages and abilities are welcome. Plus there are lots of prizes up for grabs for those taking part including a signed Boardman bike! Please pre-register for the event before 12.OOpm on Sunday. Though no Drake could class themselves as a cyclist, as a family we love watching the Tour, and one of my favourite books is about a cycle race, so we thought we'd put together a short list of cycle related reads to keep you company whilst waiting for the Tour highlights. This is one of my favourite reads. 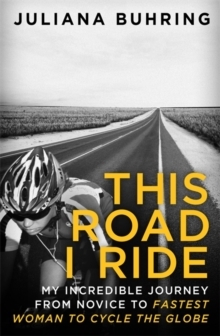 A short, but perfectly formed novel which covers, almost in real time, an amateur cycle race. 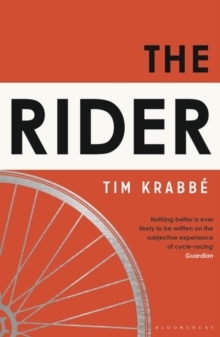 Krabbe is a keen cyclist himself and brings a wry insight into the mindgame and strategy of road racing. Written in 1978, The Rider is now consider a modern classic and widely recognised as one of the best books written about the sport. If you've ever wondered what drives cyclists to compete in such punishing trials of endurance you won't find any answers here, but you will enjoy sharing the ride with Krabbe. Le Tour de France - Serge Laget, Luke Edwards-Evans, Andy McGrath. 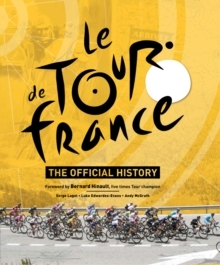 For the Tour obsessive - perhaps the most comprehensive guide to the Tour de France - generally considered to be the greatest test of endurance in the sporting world. Covering every race up to 2016 features, stories and shots of all the stars, plus over 300 photographs of stunning race scenery. A fascinating story of how Buhring, following the death of her partner, decided to cycle around the world. In 2012 Buhring cycled 18,000 miles through 19 countries in just 152 days, setting a Guinness World Record. She set off every day on her bicycle, “Pegasus”, carrying only bare essentials, not knowing where she would sleep that night. She averaged 125 miles a day. It is a remarkable feat, particularly for someone who had never really been on a bicycle before she was 30. Buhring is a compelling but down to earth story teller, who drew inspiration for her adventure simply by being bored at wearing a suit and sitting at a desk each day. So, today saw the launch of our creative writing club, as part of our Easter Activities. Those who joined us did a great job of joining in and wrote some pretty cool stories using the Story Cubes for the first time. Our warm-up activity today was to create some folding stories, and here are the end results. Given that each section is written without knowledge of the previous section they work pretty well, even if some of them are a bit on the aggressive side! Alternatively, you may want to go with the ideas of the Dr Who fan! Thanks to everyone who joined in today, we look forward to seeing you all again soon.